Agi moved to Australia in 1996 and started working at BJ’s Academy of Gymnastics and Acrobatics. In her first year at the Academy she prepared the 1st Australian Women’s pair ever to compete at Junior World Championship. 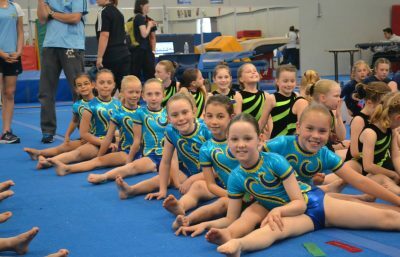 Since then Agi became the Acrobatics Head Coach of Gladesville RSL Youth Club, she has also been the head coach for the Australian Team 5 times, and she was awarded as the Elite Coach of the Year 6 times. Interesting fact: Competed Nationally and Internationally in WAG, I have a Bachelors degree in Lens Based Media and two cats called Pancake and Bruce! Interesting Fact: Morgane is a French girl arrived to Aagi in October 2016 and comes from the French circus word. She was member of the professional Circus school in Paris for 2 years and 3 years at the prestigious National Institute of Circus developing classic and contemporary dance, theatre, acrobatics, teeterboard and rope her specialties. Interesting Facts: I’m highly passionate about many physical activities and I love the water. I have competed at The Australian Surf Life Saving Championships and NSW Surf Life Saving Championships, reaching finals in both this year.